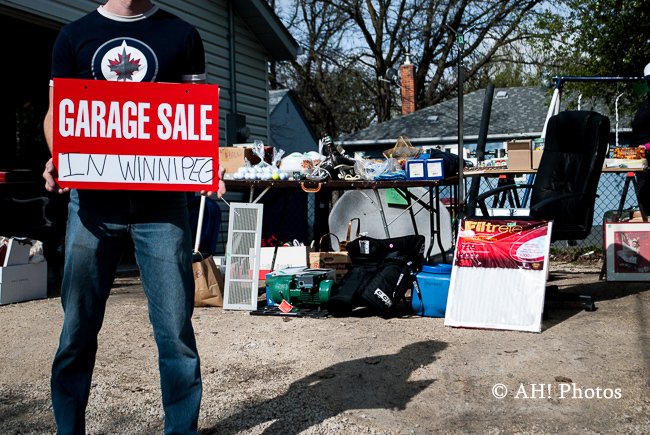 Warm weather in Winnipeg means garage sale season is about to start – and hitting up some community sales is a fun way to spend a day! Often there’s a lot happening in the area too, food trucks, stuff for the kids etc. so keep an eye out for that. Also, make sure to respect all the parking rules and laws and just generally being nice – not blocking driveways etc. It gets pretty hectic in some areas, so drive slow and be careful. Another thing too is that some people in those areas might start their sales on Friday night – so keep an eye out for signs for that. Whyte Ridge is having their sale on Saturday May 11th starting at 9am. Elie is having a town wide sale on May 11th. Sage Creek‘s Sale is on Saturday May 25th from 8am to noon. Royalwood sale is on May 25th. Garden City is having a community wide sale on June 1st. Lorette Community Sale is on June 1st at 9am. Island Lakes sale is usually at the start of September. I’ll keep updating as we go – let me know if there’s more and I’ll add them in.